All of us were born passionate learners. We came into the world curious about everything around us. We had a strong desire to want to talk, crawl, and walk. Watch a toddler take their first step, and you see passion-based learning. Listen to a musician practice a difficult piece until they are ready to perform. Watch a skateboarder try a new trick over and over — that takes persistence and passion to not give up. 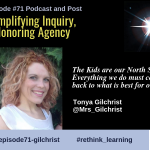 You don’t always see that same type of passion in “school.” In many cases, school has been associated with pacing guides, required curriculum, grade-level standards, bell schedules, grades, and teaching to the test. In these situations, the teacher or the administration are the ones in control. The teacher tends to become the one held accountable for the learning. Yet to really LEARN something, the learner needs to own and drive their learning. 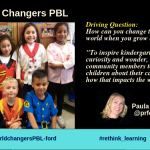 The focus on teaching and doing work that wasn’t relevant to me changed my thinking about who I was as a learner. I learned to play the game of school and “do” school so I could get “through” school. 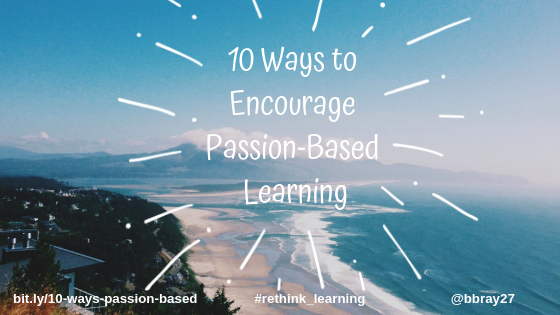 Why do we have to change school to focus on passion-based learning? School changes what kids believe what they are supposed to learn. If you ask kids around 3rd or 4th grade what they are learning in school, you might hear answers around how to behave, be a good listener, or how to do well on a test. We learned how to be compliant and follow the rules. Is this really what we want as the focus of school? 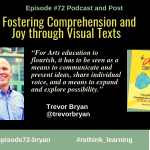 Now it’s time to bring back creativity, joy, and focus on the power of passion for learning. 1. First few days of school. 2. Get to know your learners and their interests. 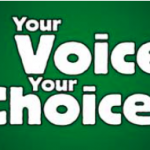 Invite your learners to share what they are interested in and their talents and aspirations. Have you ever thought of spending time one-on-one with each learner maybe schedule a lunch date? Ask them to start a journal or portfolio so they can share stories of their interests. 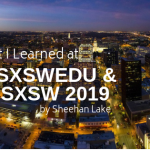 Check out Michael Wesch’s Journey to the Joy of Learning so you too can see each learner differently. 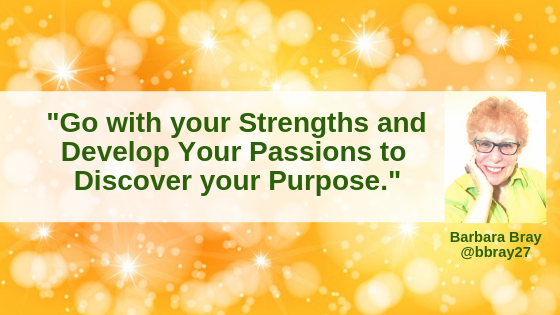 What are three things you are really interested in? Why did you choose each of those? Which one excites you the most? Why? Encourage them to explore their interest and how it might have a connection to the real world. Since you are probably still a part of the current traditional system, invite your learners to connect to required standards. Have them create a mind map of their interest and ways they can connect to what they know, what they have to learn, what they would like to learn, how they could demonstrate that they learned, and what questions they might have. 5. Identify a real-world problem. 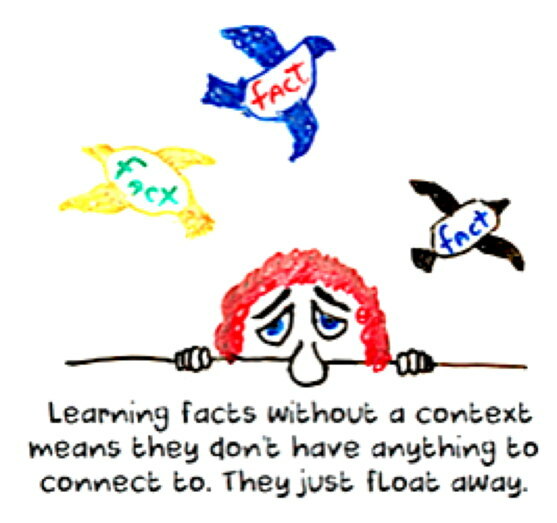 Sometimes learners cannot connect their interest with a real-world problem. You could start with a problem where they might be able to make a real difference if they could solve that problem together. Walk around your school and go outside to observe what is around you. 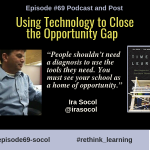 You and your learners may find a problem or issue you never thought about before. This is called “generative curriculum” which means coming up with questions and direction for learning as you learn. Dr. Jackie Gerstein, Ed.D [https://usergeneratededucation.wordpress.com/ ] shared experiences where she noticed that there was a problem with how she was being asked to learn. She was cramming and memorizing information, being tested for mastery prior to having enough practice time and learning facts with no context or relevance to what she needed to learn. 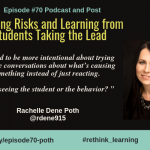 In her post, she hit the nail on the head when you wrote, “The unintended consequences of these artificial and unnatural ways of learning include believing that learning should be difficult, painful, disciplined, and not fun. She also discussed the importance of context as relevant meaningful tasks. “Learning can and should be natural, fun, and engaging.” @jackiegerstein. I agree with Jackie that learning has to be meaningful and have a purpose. 8. Build a new culture of learning. Give good reasons for learning. Watch this video from Dr. Tae about the culture of learning with secondary science teachers and university professors. 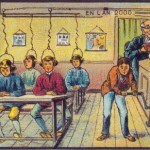 What is the secret to learning? Real learning is mostly self-motivated paired with the right mentor. 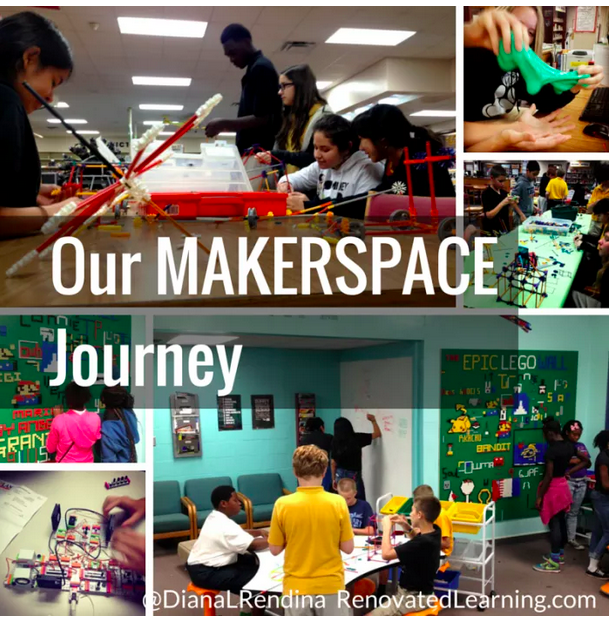 Diana Rendina, Media Specialist/School Librarian at Stewart Middle Magnet School in Tampa, FL transformed her library to serve as an informal STEM learning space for her learners. Check out Renovated Learning to follow her Makerspace journey. 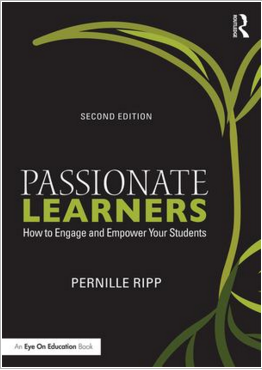 I highly recommend that you read Pernille Ripp’s book “Passionate Learners.” Pernille, a 7th grade Language Arts teacher at Oregon Middle School, Oregon, Wisconsin, being met. She then listened to their answers and tried to develop pathways writes her story about how she had almost quit teaching because she didn’t like the teacher she had become. She started by asking her learners which needs they have that are not that may include their requested modifications. IPARD – Investigation > Planning > Action > Reflection > Demonstration, learners used their knowledge and experiences from their research to solve community problems by engaging in authentic service-learning. When you look at the bigger picture, it all comes down to one thing: the passion to learn and changing the focus to learning not on teaching. This has been my mission for over 25 years. Now I’m finding more and more examples of passion-based learning. Julie’s example of service learning is more than an assignment. The learners found a problem they were passionate about and used critical thinking skills to solve it their way. 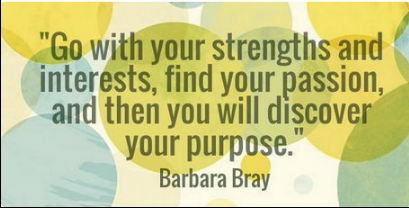 Has your purpose found you? Your article is just what I was looking . So inspiring. I also believe learning is something to be enjoyed, a moment to feel alive, and right now, many students are not aware of the passion(s) that, if correctly guided, could give them so much joy in theur lives. Thank you so much!! This is awesome and so real.